The project proposal for the research project “OFFENE STADT: Theorien, Perspektiven, Instrumente” has been initiated by the project partners at the first 24 Hours workshop of Robert Bosch Foundation. 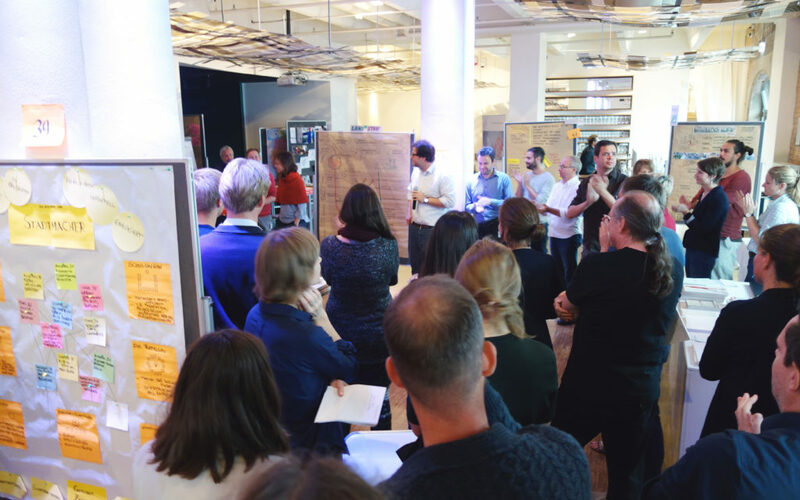 New interdisciplinary funding program “Spielraum – UrbaneTransformationen gestalten”of the Robert Bosch Stiftung was looking for researchers from all creative disciplines who want to make cities fit for the future with clever ideas. During the 24-hour workshop, the participants worked in teams to develop ideas from which the most interesting approaches were selected at the end of the event. Robert Bosch Stiftung will support the implementation of the most promising research projects with more than 1 million euros. Already today, more people live in cities than in rural areas. Cities are central living spaces and thus play a decisive role in the future viability of our society. To achieve this, they must offer more than just work, living space, and an intact infrastructure. That’s why the Robert Bosch Stiftung’s new funding program seeks forward-thinkers and lateral thinkers who can develop a vision for living together in the city of the future and enrich research with new perspectives.